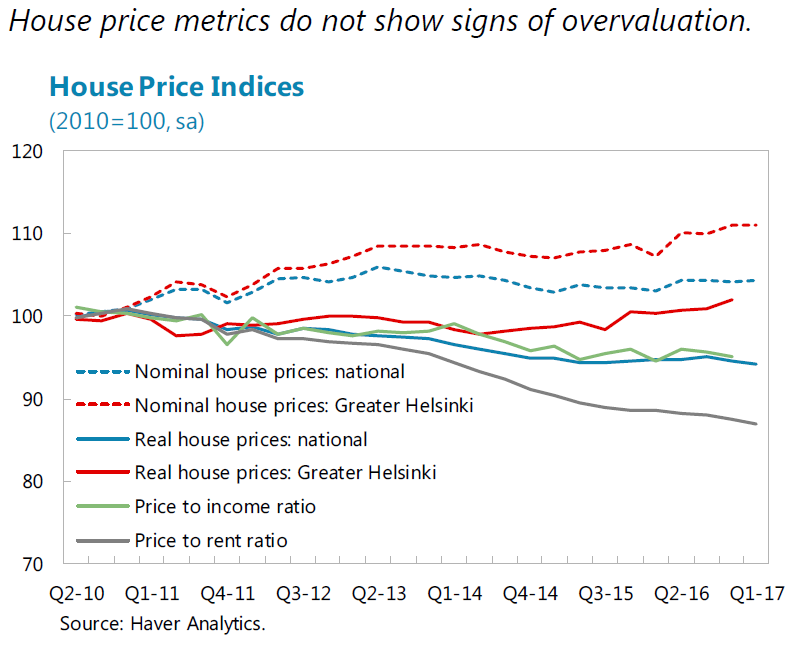 “House prices do not show signs of overvaluation. House prices relative to rent and incomes are close to their long run averages. 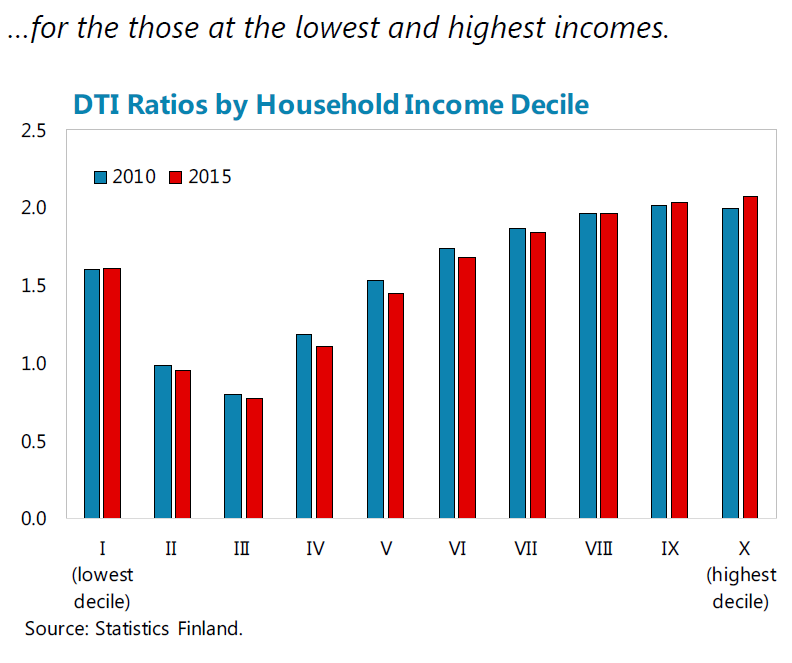 Real house prices in the Helsinki metropolitan area have increased gradually since 2012, reflecting greater demand, whereas they have declined for the rest of Finland. Some households are vulnerable (…). 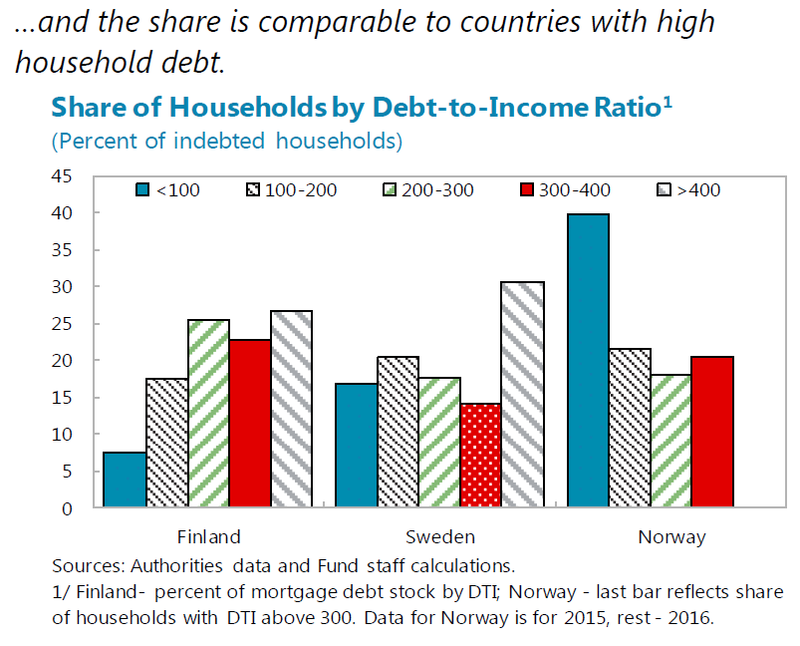 Household saving rates are negative, unsecured consumer credit is growing strongly, and a large share of mortgage loans is held by highly indebted borrowers: over a quarter of mortgage debt is to mortgagees with debt to income ratios higher than 400 percent. 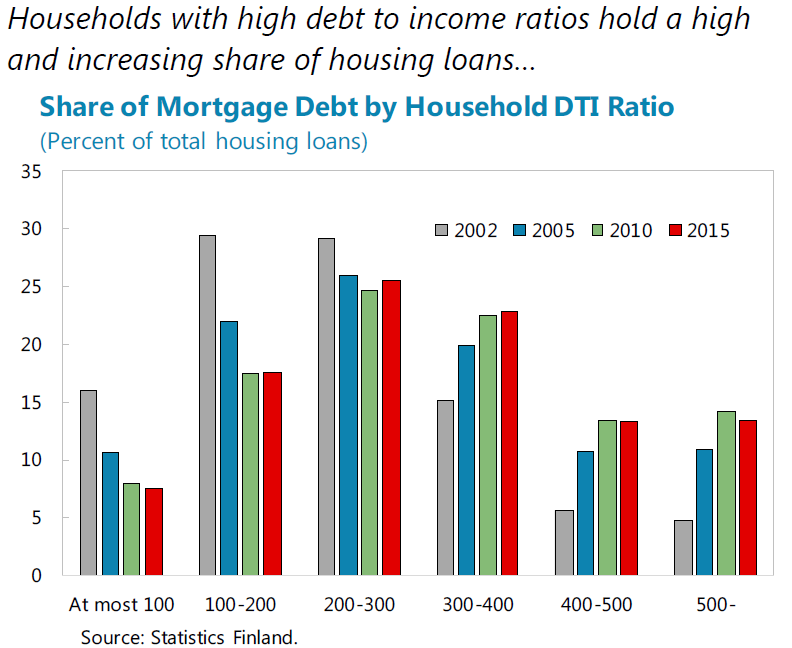 Some households would therefore be vulnerable to interest rate increases, as most mortgages are variable rate loans (although about 40 percent of mortgages have contracts that lengthening loan maturity instead of increasing payments). 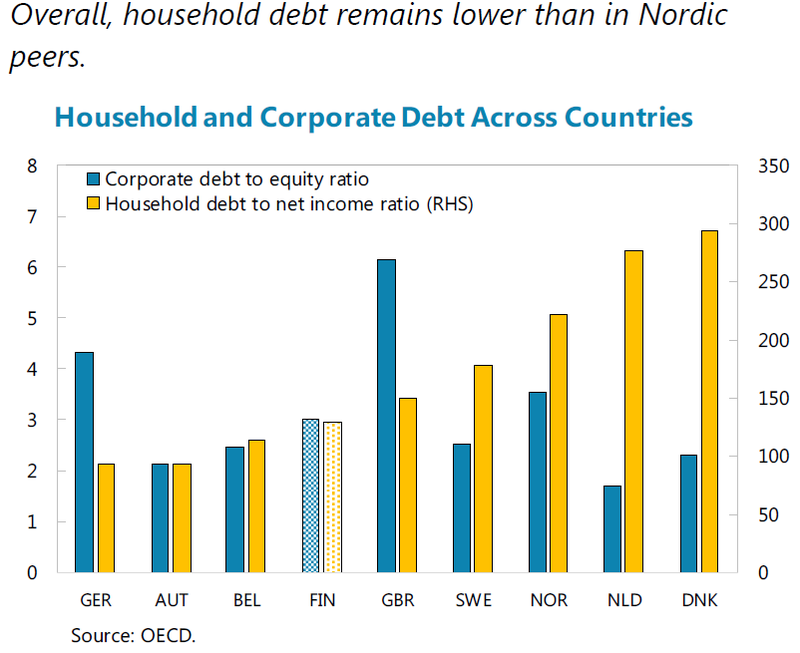 Additional macroprudential measures for borrowers should be introduced to allow the macroprudential authority to better target household vulnerabilities that are not well covered by existing Loan-To-Collateral limits. 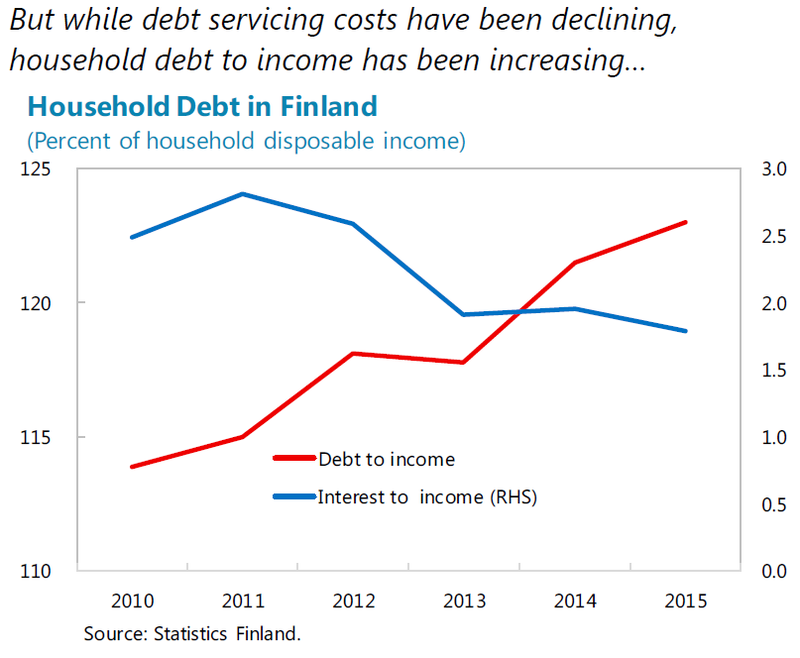 These could include caps on loans in relation to values of houses and personal incomes, and debt servicing to income. The Bank of Finland and FIN-FSA are currently working together to analyze appropriateness of different tools, and plans to propose legislation for additional measures once the SRB is introduced.